Wait a minute, was that…? In the recently-launched finale of the Forever Chuck campaign, Converse’s versatile canvas sneakers take center stage with today’s newest crop of celebrities and young creatives born in the mid-90’s. How many celebrities in the video can you name? Maisie Williams fans would have surely spotted her, most popular for her portrayal of the feisty Arya Stark. The lovely Millie Bobby Brown, a new-school celebrity darling, also makes a cameo appearance. And then of course there’s this swell trio from LA: rapper Vince Staples, the professional basketball player Jordan Clarkson, and graffiti artist and cancer survivor Spanto, who also founded BornxRaised. And who could miss super model Winnie Harlow with her fierce roar? Sensual and moving, the video is directed by Karim Huu Do. 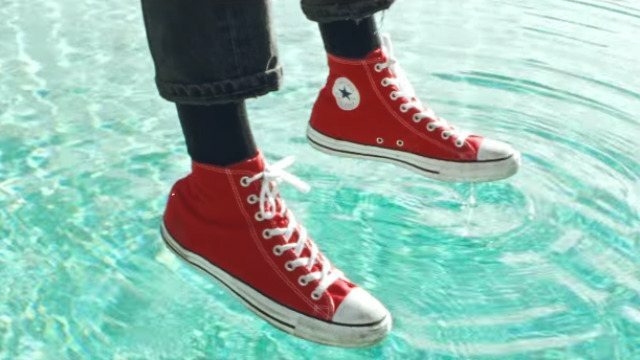 His masterpiece is described as a “visual collage of the dreams and desires that drive a diverse cast of creative collaborators.” The dramatic finale is a recognition of this generation’s cultural heroes, the brave souls who make a difference and soldier on—while rocking a pair of Chucks, of course. This sets a blank canvas for a colorful and infinite future ahead. Visit Converse’s website for more information.